But why you want to invest in Jeevan Akshay. You would get better returns from SWP in Mutual Funds. is it safe to deposit 50,00,000 in RBL for FD? 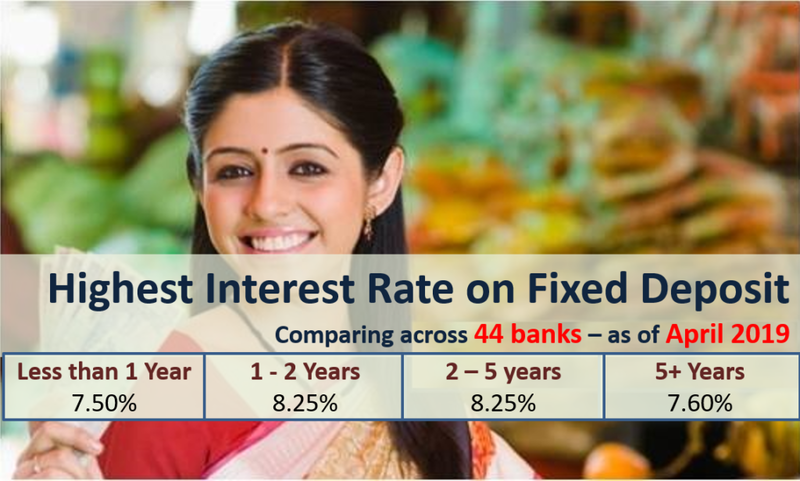 AU small finance bank is safe for FD. Yes AU small bank is safe and you can just refer to the list of banks above for best interest rate! Thanks for your reply & advise. I am planning to invest around 10L for a year in FD. I have thought about IDFC Bank. Requesting your inputs or something else you would like to suggest. Thank you. Yes RBL is private bank and quite safe. You can do fixed deposit with them for 20 years. Its just that you should keep you eyes/ears open for any bad news regarding the bank you put your money in. As the interest rate on PPF another cut down by 0.10% from 1 july, what will be the effect of this on fixed deposit interest rates? Nothing much the cut is not substantial and PPF rates are anyway much higher than market rates! Hello sir, thank you so much for this latest information. I have sold the property in Hyderabad and now wanted to go for FD @ 33 lakhs. Would you please suggest which bank is good to invest (tax saving)? Hi, is Urban cooperative bank safe for fd. Any co-operative bank is riskier than government and private banks. Can’t comment specifically for Urban cooperative bank. I am planning to FD 25 Lakhs. As I wanted to get fixed monthly income . So my question is . Q1- On FD , can we get monthly income as a interest ? Q3- Which is the safe bank to do the FD? And with good interest rate. Please clarify my doubt . 3. All government/private banks are safe. Co-operative banks are riskier. Just keep eyes/ears open about whats happening with your bank. I am living in Patna…can I make a FD in Deutsche Bank either online or offline. As there is no branch of Deutsche Bank in Patna, Bihar. You might want to check that with Deutsche Bank customer care or alternatively use “Apply Now” and they can come with any possible solution! Is REPCO bank is safer for Fixed deposit? You cannot save taxes on interest earned in FD. However you can invest in Debt mutual funds which are more tax efficient provided the investment tenure is for more than 3 years. Very nice information. With this I understand post office is best than other Banks. Yes as of today Post Offices are offering best interest rates!